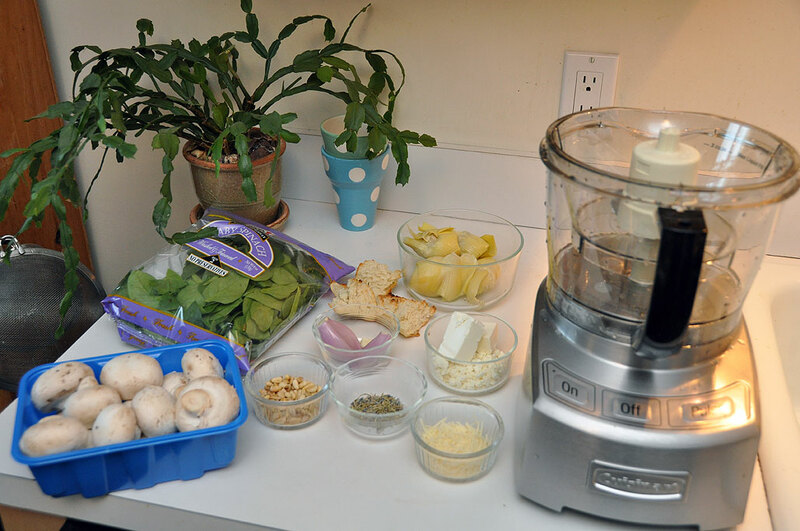 Last Fall we gave our FirstLook at the Cuisinart Elite food processor. The unique Elite Collection™ 12-Cup Food Processor is Cuisinart’s next generation of kitchen appliance. It features a unique 4-cup work bowl nested inside the larger bowl, an adjustable 6-position slicing disc, and reversible shredding disc. This updated Cuisinart is like having multiple food processors in one. 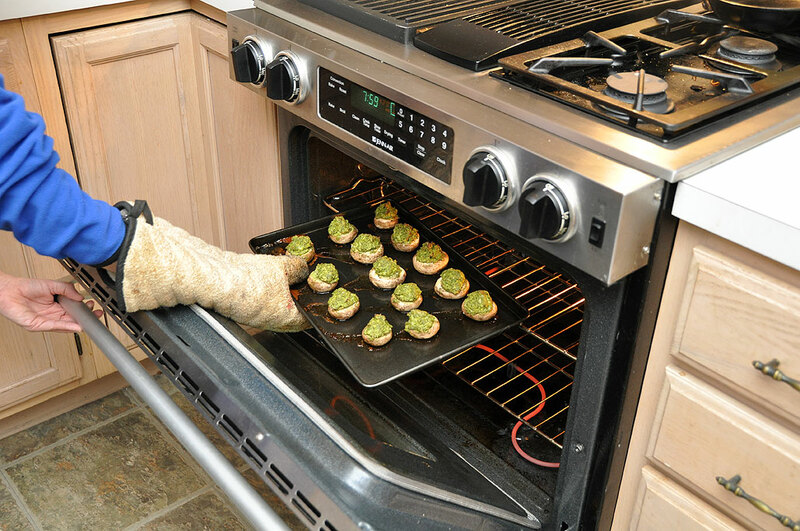 As part of the FirstUse experience, we thought we would make two of the recipes from the Cuisinart’s enclosed cookbook, spinach-stuffed mushrooms and fresh hummus. We chose the stuffed mushroom recipe because it made use of both bowls and a few different blades. Having a smaller bowl made chopping the artichoke and other ingredients (pine nuts, garlic, etc…) much easier. Switching to the larger bowl for making the rest of the stuffing was quick and easy. We were able to make everything in less than 30 minutes. The food processor is a perfect tool for making hummus. Fresh hummus is both tasty and healthy. The basic ingredients are chickpeas, parsley, and garlic. Tahini, lemon juice, cumin, and olive oil rounds out the flavor. The whole process from start to finish took us around 10 minutes. The chopping blade and the large bowl was used for this recipe. The Cuisinart Elite food processor is easy to set up and use. The base is stable during use and does not “walk” on the counter. Cleanup is not difficult. The stainless steel body is easy to wipe down and the bowls easy to wash. However, the lid took a little more work as bits got trapped by the rubber seal. After having the Cuisinart Elite for a few months, we have found we use it often enough to leave out on the counter. If you are looking for a new food processor, the Cuisinar Elite should definitely be on your short list.